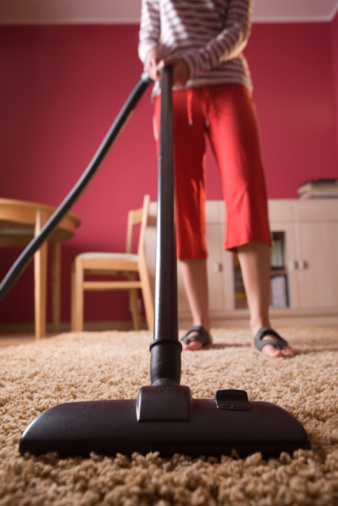 Bissell upright vacuum cleaners can sometimes underperform. Whether the suction power is lagging or your vacuum isn't picking anything up at all, a few minor tweaks and hands-on maintenance can prevent you from spending a lot of money on a new vacuum cleaner. This article will explore various things to check if your vacuum cleaner needs repair. Check the canister and filters if the vacuum is losing suction. A full canister will reduce power in the vacuum. If you empty it and there's still a loss of power, double-check the filter inside the canister as well as the HEPA filter on the left side. They should be cleaned/replaced as necessary. Examine the hose to ensure there's no clog in it. The hose is completely detachable from the vacuum itself. Rotate the attachment point counter-clockwise and pull until it fully releases. You should be able to stretch it all the way out and see daylight on either end. If not, squeeze it back together as close as possible and see if you can shake out the offending object. Use a wire coat hanger or similar flexible object to gently prod it out. Look inside the hose attachment connection point next to the base of the vacuum for foreign objects or clogging debris. If you cannot loosen the objects with your fingers, gently use a wire hanger like in Step 2. Remove the vacuum belt if it's continuously slipping off. You can tell it's disengaged if your vacuum makes a high-pitched sound and the brush isn't moving. Follow the panel-removal procedures in order as they are marked. If you just shut the vacuum cleaner off, the belt will be very hot. If the belt easily comes off of the metal pole or the vacuum brush, it's time for a replacement. 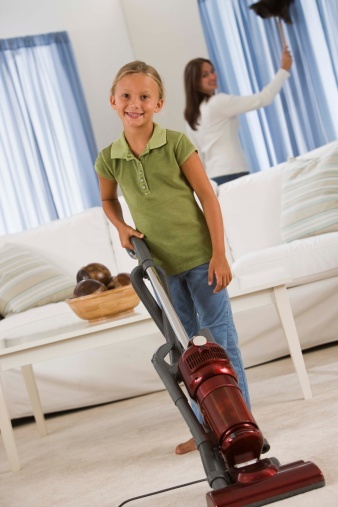 Remove the vacuum brush if the vacuum appears to have power but has difficulty removing paper objects from the carpet. Remove any foreign objects inside its holding area. Cut off any strings and threads that are tangled inside the brushes. All of the brushes should be free and clear of any objects; they should also be reasonably straight with few bent straws.